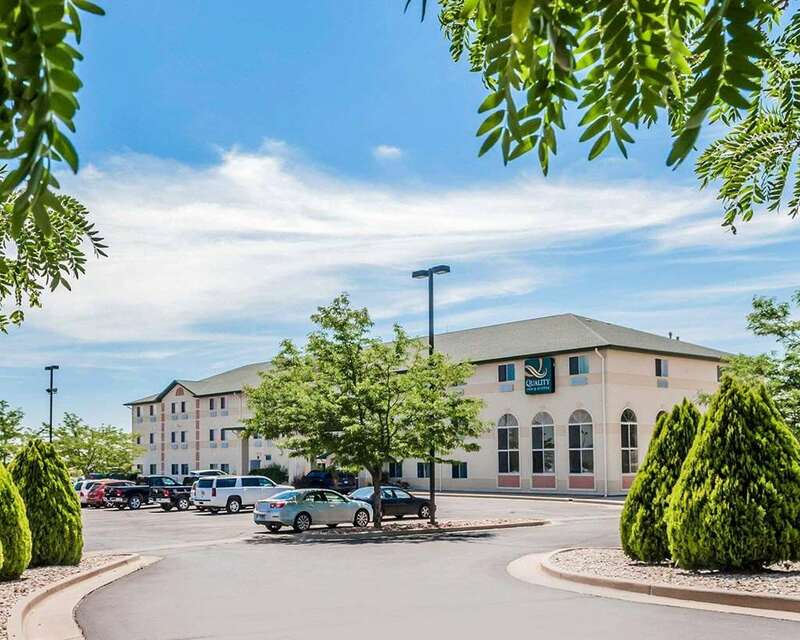 Get more value at the 100 percent smoke-free and pet-friendly Quality Inn and Suites hotel in Pueblo, CO, which lets you relax and focus on the people and experiences that you came for. We are near CSU-Pueblo, Pueblo Convention Center and Royal Gorge Bridge. Amenities include free WiFi, free ample parking, free breakfast, free coffee, fitness and business centers, laundry facilities and indoor heated pool. Guest rooms feature a coffee maker, hair dryer, premium bedding, iron and ironing board. Also, earn rewards including free nights and gift cards with our Choice Privileges Rewards program. Dogs only, limit 2 of dogs/room, USD15/dog/night, designated rooms only-no suites, call ahead. Must be at least 18 to check in.